Mae’n ofynol i bob plentyn fynychu ysgol yn llawn amser o ddechrau’r tymor yn dilyn ei pumed penblwydd (oni bai fod trefniadau eraill ar gael) Ym Mhowys, gall plentyn ddechrau’r ysgol, un ai yn rhan amser neu lawn amser ar ddechrau’r tymor y mae’n bedair oed. Os yw’ch plentyn yn 4 rhwng Medi 1af a Rhagfyr 31 gall ddechrau’r ysgol yn Nhymor yr Hydref. Os yw’ch plentyn yn 4 rhwng Ionawr 1af a Mawrth 31 gall dechrau’r ysgol yn Nhymor y Gwanwyn. Os yw’ch plentyn yn 4 rhwng Ebrill 1af a Awst 31 gall ddechrau’r ysgol yn Nhymor yr Haf. Ers Medi 2011, mae’n stadudol fod bob plentyn yn gallu derbyn chwech tymor o addysg meithrin rhan amser cyn dechrau addysg lawn amser. Os hoffai rhieni y tu allan i Bowys anfon eu plant i ysgol awdurdod cyn bo’r plentyn yn 5 oed, dylent hysbysu eu awdurdod addysg eu hunian cyn ceisio am le yn ysgol gynradd Powys. Unless other acceptable arrangements are made, a child is required to attend school full-time from the beginning of the term following the fifth birthday. In Powys a child may be admitted to school, at the parents’ request, on either a full-time or part-time basis at the beginning of the term in which the fourth birthday is achieved provided, that the school has sufficient resources of staff, accommodation and equipment. Since September 2004, every child is statutorily entitled to receive six terms of part time nursery education prior to the start of compulsory education. This is offered in a mixture of approved settings, including Playgroups, Cylchmeithrin, Schools and Day Nurseries. To determine your nearest approved setting please contact the Powys Youth and family Information Service on 0300 1110234 / e-mail: fis@powys.gov.uk. All approved settings have the direct involvement of a qualified teacher. If the setting of your choice cannot offer the maximum entitlement of 10 hours of early years education, you may choose to access the balance of your hours with an alternative provider. You do not have to access your full entitlement. If parents live outside Powys and wish to send their child to a school within this Authority before the child is five years old, they should first inform the Education Authority in whose area they live before applying for admission to the Powys primary school concerned. If your child attends a nursery or pre-school class linked to an infant or primary school and you wish your child to attend that school, you will still have to apply for a place in the main school when your child is due for full time admission. Having a place at a nursery or pre-school class does not guarantee a place in the main school at age 4 and the Authority’s criteria for school admissions will apply if the demand for Reception Class places exceeds the number of places available. 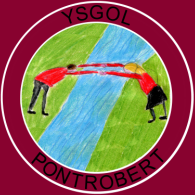 All Powys Primary Schools are Co-Educational day Schools.